Nintendo giveth, and Nintendo taketh away. 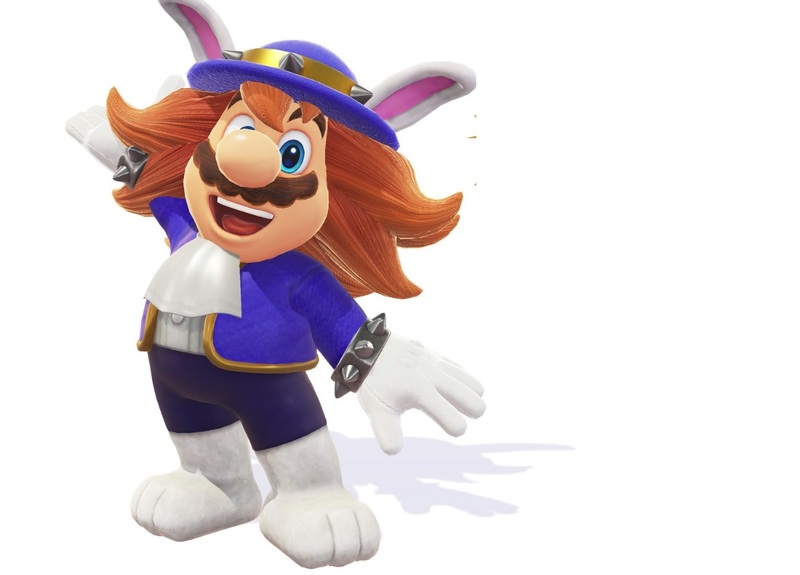 You could argue in this case the're giving us DLC for Super Mario Odyssey, but I'd say they're slowly ripping our soul asunder with these grotesque Broodal costumes. In case you've been living under a rock and haven't seen anything Odyssey related, the Broodals are the sorta-kinda new Koopa Kids of this universe, flying around on a ship and generally causing havoc. They reminiscent of familial cartoon tropes like The Beagle Boys from DuckTales, complete with a Ma Beagle analog. Now there's plenty of fan art and general love for the Broodals, but I wouldn't be surprised if they were never heard from again. If you are one of those people who loves to wear their skin, the new "Spewart" hat and suit are out this week in Mario Odyssey. The suit will run you 3,000 coins and the hat is 1,500. Enjoy!